The Daily What recently had a posting about a unique drone advertisement from 3D Robotics. After recently posting about animal vs. drone violence, this article seemed a bit ironic. In the spot called the “Dawn of the Aerial Age,” a bunch of monkeys are running around on some rocks. One of them has a briefcase with ancient monkey writings on the side, which contains a black drone and a remote control pad. The other monkeys are clearly in aw of this technology, which we don’t actually see in action. 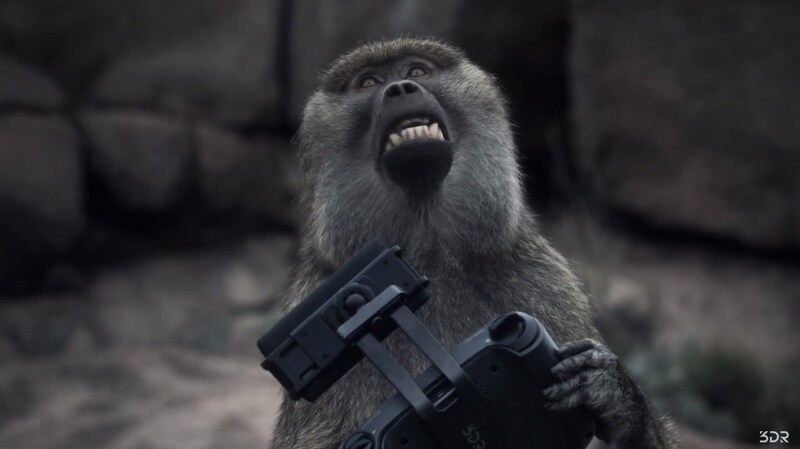 It’s unclear what exactly makes this new drone so special, but whatever it is, it’s apparently so easy to use that even a monkey can use it. Apparently monkeys are cool with drones, just keep them away from your chimpanzees and kangaroos.